Made of 18 panels which are sewn by hand. 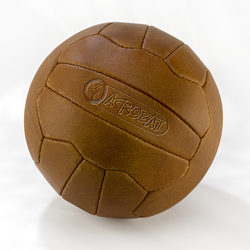 With the low weight of +/- 400 g. this ball is just perfect for young players. To play with on the lawn, not on the street!